If you are in Nagaland, the next time you put frogs in the cooking pot, beware – you might be an unsuspecting contributor to wiping out evolutionary history. A culinary delight to many Southeast Asian communities, frogs are no stranger to Nagaland’s food menu. Held in high gastronomic regard, aficionados here claim that frogs taste better than chicken, even believed to hold healing properties. Science, though, has an altogether different take. To the science of evolution, frogs are more than mere gastronomic delicacy. They could well be a giant rung in the evolutionary ladder with an estimated evolutionary history spanning hundreds of millions of years. One kind in particular, the Asian Horned Frog – an enigmatic group of frogs often with horn-like projections over the eyes – has scientists energized by recent research findings. The ancestors of this family of frogs are said to have shared space with dinosaurs but little is known about its evolutionary history. Unlike their dinosaur contemporaries, these frogs did not leave behind any known fossils. Today they are found to be natives of Southeast Asia and India – the north-eastern region of the Indian subcontinent in particular. Despite the absence of fossil records, recent developments in dating technology—a method called RelTime that does not require fossil information—is now enabling evolutionary scientists to “date the undatables” with relatively better age estimates. With the new dating technique, a group of scientists from Ireland and India, who embarked on a quest to resolve a 195-year-old “confusion regarding relationships between the species of Asian Horned Frogs” stumbled upon potentially new, previously unknown, species of this family. “Using DNA sequences, they discovered many potentially new species in this group previously unknown to science. They also estimated the ages of species and groups of species using a method that had previously not been tried on amphibians and inadvertently discovered that until now scientists may have been overestimating the age of many frog families,” states a press release on the research findings. The findings of the research team – led by Ireland’s leading herpetologist, Dr. Stephen Mahony, previously of University College Dublin (UCD), Ireland and University of Delhi, and a prominent mammal molecular evolutionary biologist, Prof. Emma Teeling (UCD) – was recently published in the scientific journal, Molecular Biology and Evolution. Nicole Foley, a PhD student of Prof. Teeling and Prof. SD Biju, dubbed the ‘Frogman of India’, were co-authors in this research publication. The research project was envisaged by Dr. Mahony in 2006 after he discovered that one widely distributed ‘species’ appeared to represent several similar but scientifically ‘new’ distinct species. Six of these species from Thailand, Cambodia and India, were formally described as new to science between 2009 and 2013. As per the research findings, the Asian Horned Frogs family may have originated as recently as 77 million years ago (mya) in contrast to 100-126 mya as previously estimated. “While this research particularly focused on frogs, many other animal groups also lack a fossil record, and so it is very difficult to decipher their evolutionary histories. Our hope is that methods used here will prove beneficial for understanding how the distant ancestors of living animals may have coexisted in prehistoric times,” Dr. Mahony states in the release. The North East of the Indian subcontinent is regarded as an Asian Horned Frog diversity hotspot. According to Dr. Mahony, Asian Horned Frog species can be found in all the NE states confined to forested hilly regions and need unpolluted streams to reproduce. And they could well be among the earliest settlers of the region migrating from China and Southeast Asia some 17-13 million years ago. 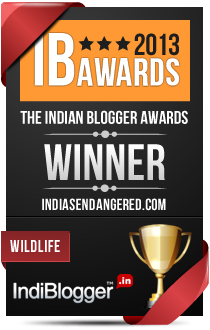 When the research began studying Asian Horned Frogs, India had only six reported species. “Since then, six more new species have been named. Our latest paper, using molecular phylogenetic analyses indicates that at least another six new species remain to be described in Northeast India (including a few from Nagaland), and we are quite certain that several others remain to be discovered,” notes Dr. Mahony, responding to a query from The Morung Express. 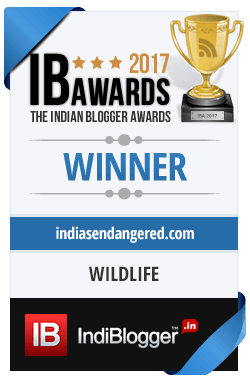 “The future survival of these inoffensive little frogs (and countless other animals) relies entirely on whether local people recognise and respect the extraordinary heritage value of their vanishing Northeast Indian forests, before they are all lost,” he maintains. The frog as food further raises curiosity. 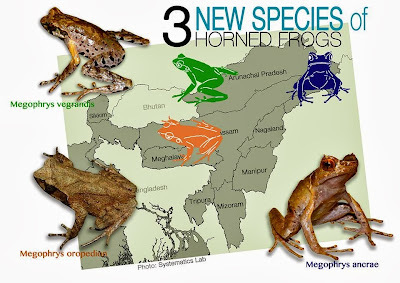 Are people in Nagaland consuming these “inoffensive little frogs” oblivious of their scientific value? Dr. Mahony says that he has not come across any reported instances of the Asian Horned Frogs consumed as food in Nagaland so far. As Naga herpetologist Dr. Rachunliu G. Kamei puts it, “I haven’t yet seen megophryids (Asian Horned Frogs) in the markets of Dimapur or Kohima. I won’t be surprised though if they were eaten in some parts of Nagaland that I am not aware of because these frogs can get quite big and meaty.” Asian Horned Frogs are known to be consumed in Bhutan and Nepal. This article by Imkong Walling was originally published in Morung Express. Published here with permission.